In November 2017, I had the pleasure of attending the Digital Marketing for Financial Services Summit in Brooklyn, New York. This conferences is one of the world's leading digital marketing events for financial services, covering the latest and greatest digital marketing strategies specific to financial institutions. I walked away with a number of thoughts and insights, and an extensive list of ideas. One of the topics that I thought would be worth sharing with you is this idea of how financial institutions can make incremental changes to create more compelling consumer experiences. The more that we learn about consumers, their purchasing behavior, and changing technology trends, the more we learn just how fickle consumers can be! 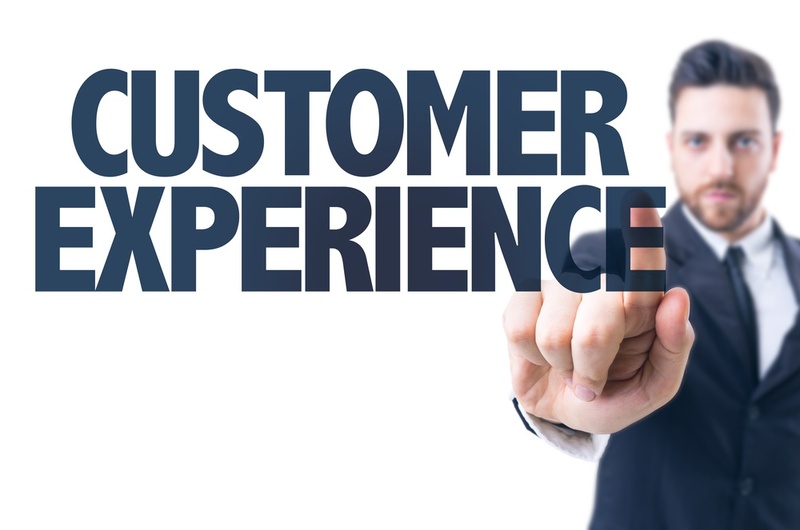 But, for better or worse, in order to connect with your customers and remain competitive, financial institutions will have to develop a culture that is dedicated to understanding and adopting technology trends that create compelling consumer experiences. Here are four things your institution can do to build trust and enhance your relationships with your customers. We're in the day and age of the iPad, Alexa, and Amazon Prime. Consumers gravitate toward convenience and are willing to pay a premium for it. Now, companies are taking it a step further and creating experiences and products that remove as many manual process as possible, creating frictionless transactions. I don't have to swipe a card to pay my Uber driver—my payment automatically deducts from my account; I can purchase virtually anything I need through my Amazon app with a few taps of my finger and have it delivered to my house within a few hours; and if I need to adjust the thermostat in my house while I'm at work because the unpredictable Texas weather suddenly shot up 10 degrees, I can do so through the Nest app. Well, when it comes to financial transactions, consumers gravitate toward the same convenient, frictionless technology. Having the ability to easily move money across accounts, from institution to institution, and to bill payees creates happy, and ultimately, loyal customers. As your institution makes investments in technology in 2018, consider your opportunities to develop seamless, frictionless functionality into your website, online bill pay, and mobile banking options. Ask your customers for their input and take inspiration from other financial service providers. You may not be able to develop everything on your "wish list," but if you're taking steps to create convenient, sleek, user-friendly technology that gives your customers ease-of-use, you're on the right track! There was a time when brand loyalty was passed down from generation to generation. If your parents drove Fords, when you were finally able to buy your own car, you opted to go with what was familiar—a Ford. These days, word of mouth and online reviews can sway a person's purchase decision. It's rare for consumers to make a purchase—both big and small—without first reading the Facebook comments, Yelp, Google, or Amazon reviews on the product and the company that's selling it. In fact, 70% of consumers, Millennials and Gen-Xers alike, look to online reviews in their decision-making process. The moral of the story is, if you're producing content either for your social media channels, website, blog, or through outbound email campaigns, make sure the viewer has a way to share the information with their networks. For example, if you've been actively publishing website content that establishes one of your financial advisors as a thought leader in the wealth management field, make it easily shareable. When one of your current customers, or someone in their network who may have seen their shared content is in need of a college savings plan for their children, maybe they will think back to the time they saw your advisor's article in their Facebook newsfeed and consider your institution for their needs. The easier it is to share, the more likely consumers will do so, further amplifying your brand and messaging. In point #1, we went over how to create a frictionless experience for your consumers, but chances are, you may already have some friction in your current environment. If consumers are unable to open a checking account or apply for an auto loan online or through their mobile device, you have friction that needs to be removed. By simplifying the customer journey, streamlining the application process, and cutting down the time it takes to conduct simple transactions, you'll go a long way to delight your customers. Paper is seen as friction in the mind of the consumer, so do an inventory of all of your consumer touch points and look for ways to digitize the experience. Even something as simple as the name of your products could remove the "appearance" of friction. For example, while your checking account may operate the way it always has on the back-end, to your consumer, it's a 'Mobile Bank Account' and should be named as such. According to the EY Global Consumer Banking Survey, only 33% of U.S. consumers feel they can trust their financial institution to provide unbiased advice. When financial institutions focus primarily on selling products based on their organizational needs and wants, rather than the consumer needs, this causes a disconnect and lack of trust. In order to create relevancy with your consumers, look for ways to focus less on selling your products and services and focus more on giving them access to what they need—banking, credit, financial management advice, etc. Consumers only care about what is relevant to their lives. In order to create relevancy you must understand and anticipate their needs, and be available to meet them. The digital experiences you create for your customers will never be "complete." Websites, social media profiles, mobile banking platforms, etc. are fluid, living, breathing assets that should continue to evolve and change with your consumers.